If you're an art aficionado with discriminating taste (and you know you are), this one is for you. The GOLDEN TUBE is a supremely curated collection of art prints. It combines my most sought-after works, the hard-to-get, and secret surprises! THE GOLDEN TUBE is loaded with immodesty. Full to bursting with the most excellent art prints, this luxury experience is exclusively for those who appreciate the finer things in life. 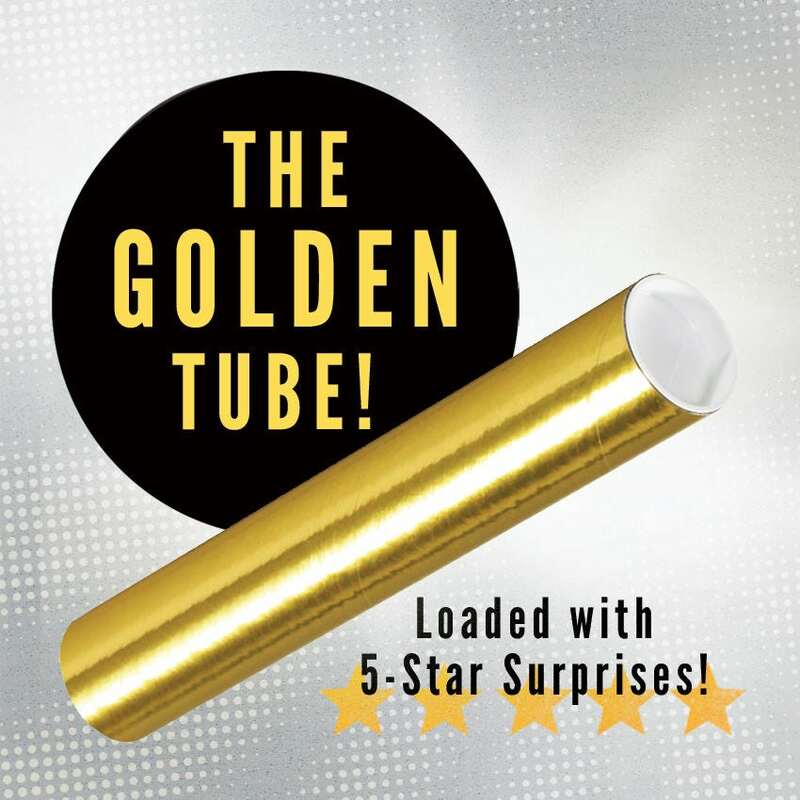 Like walking the red carpet and receiving a huge award, THE GOLDEN TUBE is the King Trophy of Surprises. Anticipation first. Then, euphoria may ensue as you pop the lid on your GOLDEN TUBE! Get that Golden Tingle! Look inside and discover the beautiful assortment of art prints! A minimum of (5) prints will be included! IMPORTANT NOTE: Please read carefully! Every tube ordered may/will have a unique selection of art prints included. Each GOLDEN TUBE includes a deliciously unique visual experience! Fun! FINAL NOTE: Each GOLDEN TUBE includes a minimum of (5) art prints! All art by Rob Ozborne! There will definitely be something unexpected in there! What are you waiting for? Buy your GOLDEN TUBE now!